Mc Nulty & Co fully respects your right to privacy and will not collect personal information about you on this website without your permission. Any personal information which you volunteer will be treated with the highest standards of security and confidentiality. Mc Nulty & Co does not collect any personal information about you on this website, apart from information which you volunteer. Any information which you provide in this way won't be available to any third parties. Mc Nulty & Co assures that all individually identifiable information is kept confidential. For general web browsing no personal information is revealed to us. We do track general information about people visiting our website for statistical purposes. This does not include any personal information. This information is only used to determine the composition of our visitors and to record common behaviour. 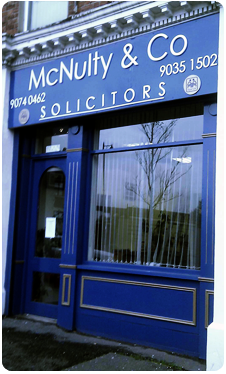 If you have any questions about privacy then please email info@mcnultyandco.com call us on 028 9074 0462 / 028 9035 1502.